Bentley Spotting has spotted Bentleys out the front of Dior before, and Rolls Royces parked outside of Mulberry and the cobbler John Lobb, now its a Rolls Royce parked out the front of shops including Chanel, Freo and Cartier. 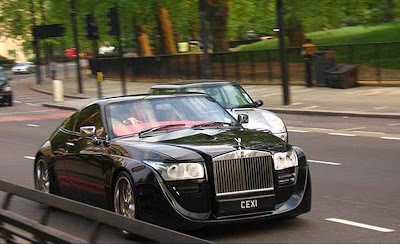 Yes, it really is a Rolls Royce. It is a 1995 Rolls Royce Silver Spirit III with a body by DC design. Of India, yes India not to be confused with Italy. 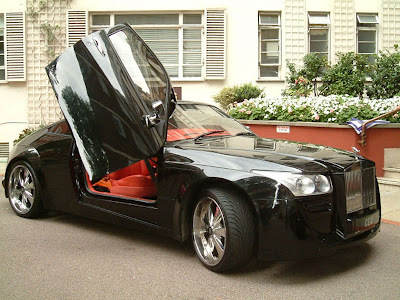 This one off car has stirred much interest on the Internet, as people are so not used to seeing coachbuilt modern cars. It is certainly one sure head turner. Take a look at these heads turning. 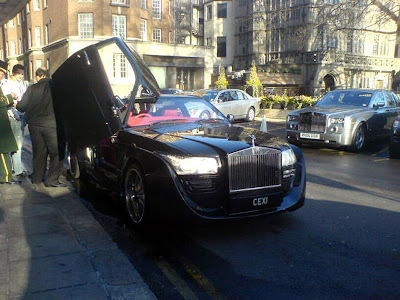 It even has the modern party piece, Lambo style scissor doors. 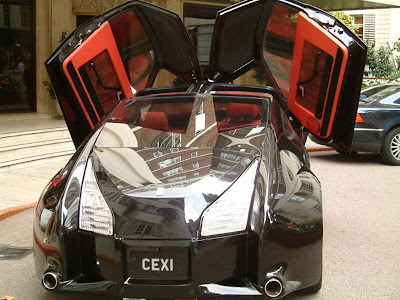 The car has been called a batmobile, a half bred Nissan 350Z and simply ugly. But it is so up my alley. Simply because it is a modern coachbuilt car it is enjoyable. It does not matter that the rear lights are as large as Antarctica. What stands out at the front is that the bonnet covers the top of the RR grill. 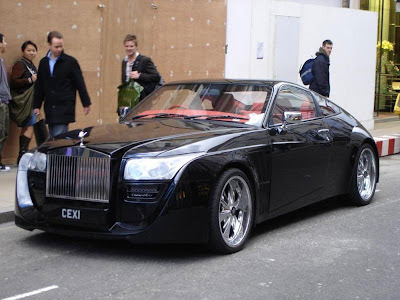 This is now the standard design on the very new 2007 Rolls Royce Drop Head Coupe. Quite futuristic and forward thinking by DC design. What is surprising is that it is currently for sale. 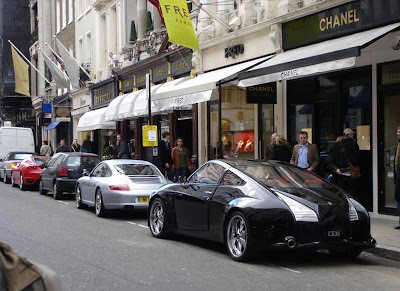 Where else would you buy a modern coachbuilt car in London besides The Chelsea Workshop of course. 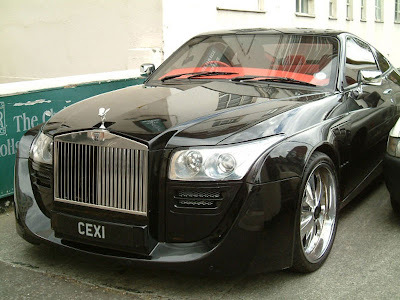 They still mind you, have the coachbuilt Bentley for the Sultan of Brunei for sale. The car has travelled 35000 miles and they are accepting 'Offers'. that's the ugliest Rolls ever !